Changing the world one skirt at a time! It’s time for another episode of Living Skirt Art. Our first attempt was very well received, so we wanted to bring some more skirt art alive for you. We have a skirt art board over on Pinterest (you can see it by clicking here) and we have loved discovering all the beautiful and fun art with skirts in them. So we decided to take a another piece of skirt art and use it as a starting point. Today our inspiration is A Child in The Rain by Albert Ludovici Sr. He created this lovely pencil and watercolor piece in 1885. 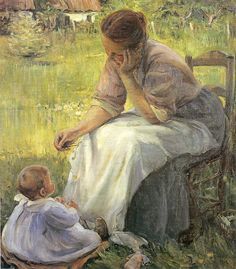 He studied at the Atelier Drolling in Paris. He was an established artist, and he actually painted portraits for King Edward VII and Queen Alexandra in England, where he lived. Two of his five children became artists also…kind of a generational thing like we do here at Skirt Fixation! We settled on A Child In The Rain well, because it was raining and overcast, and some of the other skirt art pieces we wanted to do just weren’t going to work in the rain! So we narrowed it down to several, discussed the skirts and possibilities, and settled on this one! Annie studied the piece of art very carefully and helped put together her outfit. She noticed several small details and insisted on the red flower in the hat. She also hunted through the scarf collection until she found the perfect shade of blue! I happened to have a straw purse the same general shape as A Child In The Rain. Her oldest brother chipped in the hat. I love the raindrops in the photo! Skirt: Brown floral on creamy background from Annie’s closet. Any suggestions on which piece of skirt art we should be inspired by next? Another excellent reproduction! Love it! Brilliant! This is such a good idea. I am sure you all learn a great deal from these exercises. even big brother who owns the hat! I agree with Annie, the red flower makes the whole picture so sweet! What lovely art indeed, a feast for the eyes. Once again an excellent reproduction! I love this new series of yours! You really do them well. I don't want to miss a single post from Skirt Fixation! 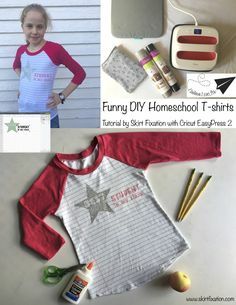 Funny DIY homeschool t-shirts! These are super fun and lighthearted...and easy to make. Find the full tutorial and FREE cut files in Design Space. Made with Cricut EasyPress 2. Explore Select Category 5 Skirts All The Skirts Book Review Buy or DIY ~ Skirts! 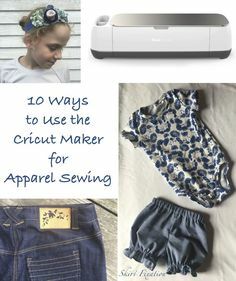 Challenge Create: Adult Edition Challenge Create: Fabric Swap Edition Copycat Skirt Cricut Tutorials Cuff Placket Doll Clothes Fabric Review Girl’s Size Giveaway! Handmade Baby Junior Size Maternity Skirt Misses Size My Sister’s Quilts Not a skirt! Outnumbered, the Podcast Pattern Review Project Run & Play Savvy Noggins Savvy Patterns Scraps Serger School Skirt Alert! Skirt Art Skirt Awards Skirt Design Skirt Factsination Skirt Fix Skirt Fixation Fabric Skirt Fixation Patterns Skirt Interview Skirt Outfit Skirt Remake Skirt VS Skirt Swimwear Sewing Thrift Score Top Stitchers Tutorial Ugly Skirt Uncategorized Will Sew For Food!